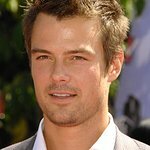 Actor Josh Duhamel today joined Valspar Paint and Habitat For Humanity to launch Valspar Hearts and Hands for Habitat. The program auctions off the colorful handprints of celebrities and notable personalities created with Valspar Paint. The auction benefits Habitat for Humanity’s Disaster Response program, which provides immediate and long-term response and solutions to devastating natural disasters, such as Hurricane Sandy and the recent tornadoes in Oklahoma and Texas, that damaged and destroyed thousands of homes. Valspar Paint, known for offering the Valspar Love Your Color Guarantee, has received autographed handprints from a range of celebrities showing their guaranteed love and support of Habitat for Humanity. In addition to Josh Duhamel, other celebrities’ handprints that have been donated include: Patrick J. Adams, Kate Bosworth, Mischa Barton, Brooke Burke, Rosanne Cash, Eric Close, Marcia Cross, Fergie, Jenna Elfman, Ethan Hawke, Genevieve Gorder, Heather Graham, Jonathan Groff, Warren Haynes, Ashley Hebert, Stacy Keibler, Minka Kelly, Jenny McCarthy, Jillian Michaels, Lea Michele, Bette Midler, Miles Redd, JP Rosenbaum, Kelly Rutherford, Susan Sarandon, Liev Schreiber, Taylor Spreitler, Naomi Watts, and more. Valspar is committed to helping everyone connect to the power in color, and to symbolize celebrities’ love and support of Habitat for Humanity’s mission, each set of colorful handprints feature a heart that was created using a range of vibrant Valspar Paint colors. In addition to proceeds from the auction benefitting Habitat’s Disaster Response program, for every set of celebrity handprints created for Valspar Hearts and Hands for Habitat, Valspar is donating $1,000 to the cause, with a minimum donation of $25,000. “Valspar has a long-standing relationship with Habitat for Humanity, and we are committed to supporting their mission of providing safe and affordable housing. At Valspar, we believe color can transform, and that is why we guarantee paint for every new Habitat home built in the United States, and why we also offer the Valspar Love Your Color Guarantee which ensures that our consumers find their right color,” said Paula Shikany, director of marketing for Valspar. After a disaster strikes, Habitat helps families rebuild their lives with both immediate and long-term assistance. Valspar began supporting Habitat locally in the mid-1980s. Since launching its national partnership in 2002, the Valspar Foundation has committed more than $60 million in cash and paint to Habitat through 2014. The Valspar Hearts and Hands for Habitat auction is now live on the Valspar Paint Facebook Page, with handprints open for bidding through Friday, Aug. 30, 2013 at noon EST.